Formally (in writing or email) contact the Director of Phoenix Services and express the nature of the concern. This will be formally acknowledged (in writing or email). Ideally within 3 working days. An action plan produced to identify and resolve problem should be offered and agreed upon. Ideally within 5 working days of receipt. The complaint should be resolved to the satisfaction of the client, as quickly as reasonably possible. All steps (and resultant actions) of this process should be documented by a Director of Phoenix Services Ltd and be available for scrutiny by any appropriate external inspection organisation (to be retained for a period of 2 years). If required then external support can be sought from the Dispute Resolution Ombudsman at WHICH? What quality guarantees or warranties are available? 12 months from installation date. Generally 12 months from installation date – some manufacturers offer different extended warranties. Please ENSURE that YOU keep all paperwork for reference and contact information. 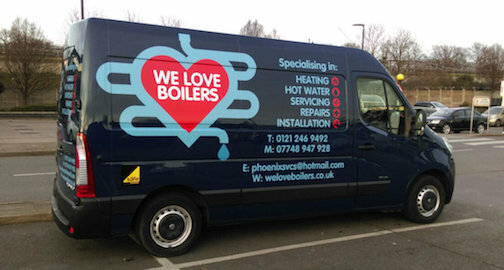 Sometimes in the case of boiler installations there may be more than just 1 year warranty available. These guarantees/warranties offered are not insurance backed.